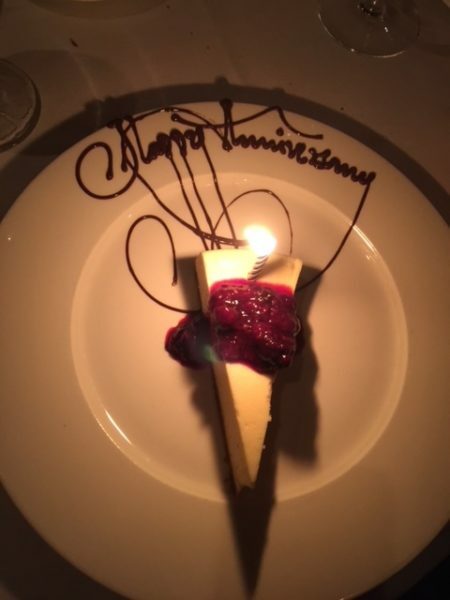 We recently celebrated our fiftieth wedding anniversary and since Whistler Mountain opened around the time we met, it seemed appropriate to celebrate this auspicious occasion in the town that symbolized the growth of our life together and in which we had so many memories. There is a serenity that enters your soul as you travel along Highway 1 and onto Highway 99 around Horseshoe Bay and head north towards Squamish and Whistler. Suddenly, the ocean and mountains spread out in front of you, and all is right in your world. Aptly named, The Sea to Sky Highway now provides a quick, safe and direct route to Vancouver’s backyard and world renowned paradise, Whistler. How lucky are we in the Lower Mainland to have such a wonderful place so close at hand? 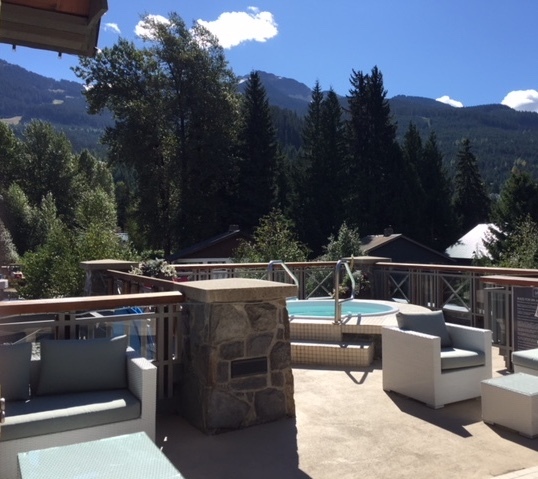 A weekend in Whistler makes you feel as if you have travelled to a distant exclusive destination where you were spoiled and pampered and you reluctantly return to regular life, refreshed and renewed. It could be the drive itself, with the amazing scenery of sea and sky, crystal white waterfalls, eventually travelling through verdant forests and towering mountains to your destination, a town nestled and now spreading through the valley between snow capped mountains. It could be the knowledge that you feel as if you are transported into a natural primaeval forest glade if you walk off the trail anywhere. Or, it could be the unique differences in the little town that grew from one ski hill at a train stop to world class resort. Whatever it is, we all know that a few days in Whistler rejuvenates the spirit, and gives a new perspective on life. Our journey always starts with lunch or dinner at the White Spot in Squamish. This restaurant chain had been our first date and still is a favourite. It adds some of that BC good food into your day and breaks the journey, allowing you to feel ready to start exploring upon your arrival. Our first visit was to The Spa at Nita Lake Lodge picturesquely situated on the green glacier fed lake and at the railroad station for the Rocky Mountaineer Train. The building is a mountain lakeside retreat. The Spa describes itself as “Exceptional, intimate and authentic” and it is all that and more. 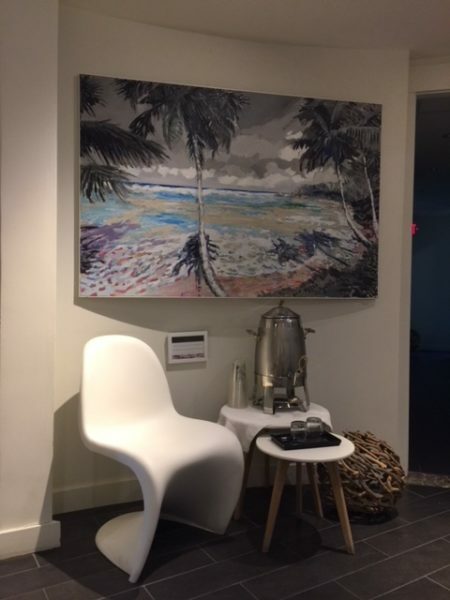 A welcoming attitude and friendly staff make such a difference, especially when you are bringing a male, who is unaccustomed to the nuances and routines of a spa. The very professional staff at the Nita Lake Lodge Spa are absolutely amazing, the robes are so soft, the citrus and cucumber water so refreshing, and the down comforters on the massage beds so inviting. We booked a Heaven and Earth treatment that made our feet and upper body feel smooth, relaxed and refreshed. It started with an amazing foot scrub, a calf massage, and then a neck and shoulder massage and ended with warm towels on our legs and feet. We were reluctant to leave the room – it was all so pleasant. After the massage, there is a sauna, steam room and an outdoor hot tub on an upper deck to enjoy the mountain scenery and rest. The Spa at Nita Lake is a must experience. My husband loved it and cannot wait to go back, a big compliment! I felt it really helped my areas of stress; my feet and shoulders carry the weight of my world, and making them relax is the best thing in my life. 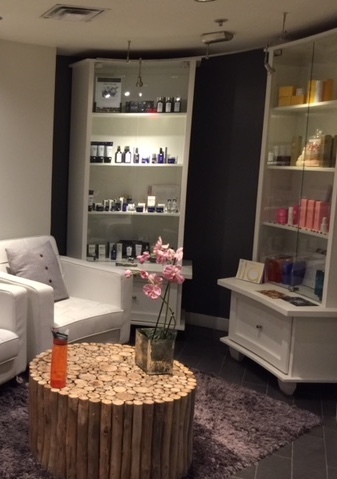 The Spa offers a full gamut of services including facials, makeup, Swedish massage, yoga, and a variety of relaxation and wellness activities. I highly recommend this wonderful setting. A testament to the type of place Whistler has become, my masseuse at Nita Lake Spa had emigrated from New Zealand after a Whistler ski vacation, and now is raising her family here. 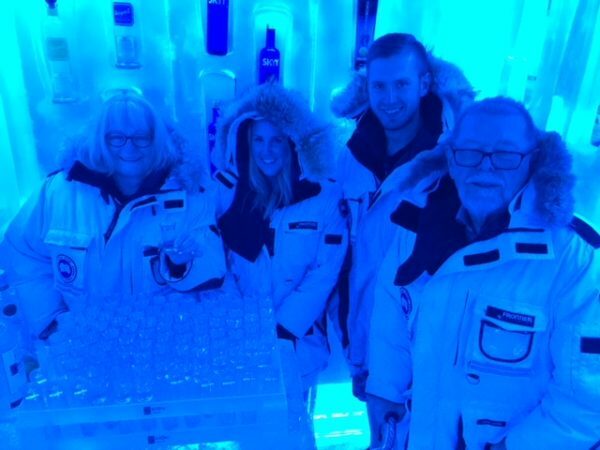 We had another experience waiting for us at The Ketel One Ice Bar at the Bearfoot Bistro. We started at the bar with cocktails and learned all about the experience. We were preparing to enter into the Ice Room, the world’s coldest vodka tasting room – and the only permanent sub-zero vodka room in Canada. We warmed up in the -32C (-25F) Ketel One Ice Room wrapped in their Canada Goose, Arctic-ready parkas. we saw more than 50 vodkas from across the globe, and samples distilled from everything: rye, wheat and soya to hemp seeds, this unique Bearfoot Bistro experience is not to be missed. You’ll feel comfortable and cozy as their vodka expert explains how the intricacies of distillation and filtration affect the flavour profile of the finished product. We tasted Scotch before going into the Ice Room and tasting four vodkas of our choice and discovered how the extreme environment enhanced the flavour while minimizing the alcohol burn. We returned home with time to change and then a peaceful walk to Hy’s for dinner. This western Canadian tradition has provided us with great steak dinners for our half century together, so it seemed imperative to have one of the best steaks available at Hy’s. The food did not disappoint. 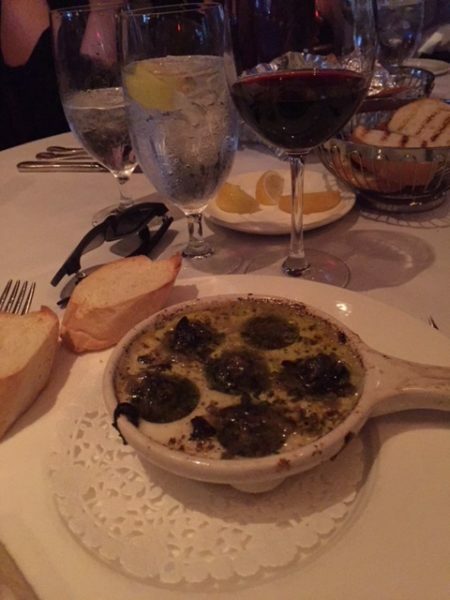 Caprese (a new addition) and traditional Caesar salad, escargot, French onion soup, and cheese and garlic bread. We filled up on appetizers but saved a little room for our steaks. Dessert was Hy’s cheesecake. Luckily, walking around Whistler is safe, fun, and interesting. Window shopping, talking to other visitors, watching the dog walkers is all great. It allows your dinner to settle because tomorrow is another day of fun! 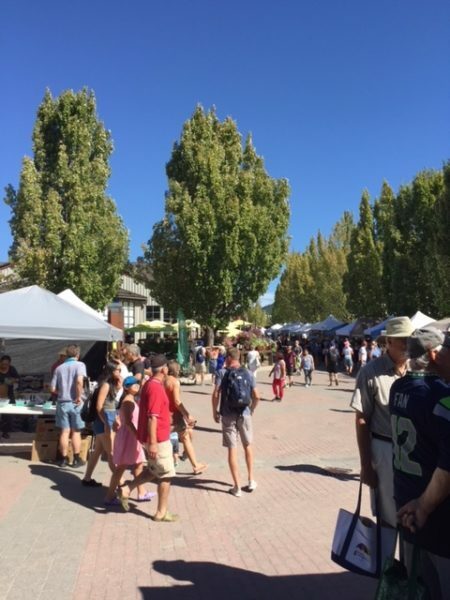 A lovely Sunday morning walk through the Farmer’s Market at the Upper Village is perfect. Fresh food and produce, hand-made crafts and toys, fresh baking and coffee, pyrogies and pie, all tempt the palate. A stop for a drink at Garibaldi Lift Company allows a full view of the activity at the top of Whistler village, up the mountain, and allows us to relax while we wait for our trip up to the Peak 2 Peak and Summer Feast on the Mountain. What an amazing experience, the views are spectacular. Even people afraid of heights can do this once in a lifetime event. If you want tremendous views of the mountains this is one of the best ways to see them. Take a warm jacket as we went up when it was 26C in Whistler Village, but 10C at the top of Peak 2 Peak and at sunset. Great for seeing glaciers in summer. 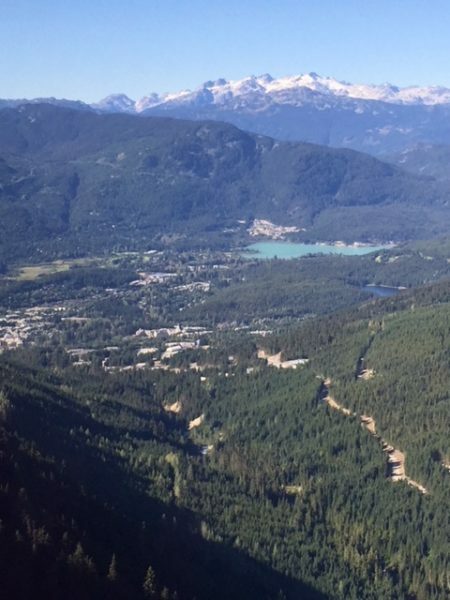 We took the Whistler gondola from the village and then the Peak 2 Peak across to Blackcomb Mountain. Whichever direction you look, there is something amazing. Bikers, walkers, hikers, climbers, skiers, and a few bears all share the trails. After crossing to Blackcomb we saw a different panorama. We had time to walk around and see the views and share everyone’s joy. No need to wait for the glass bottom gondola, we did try it but the views out of the window are more than enough! 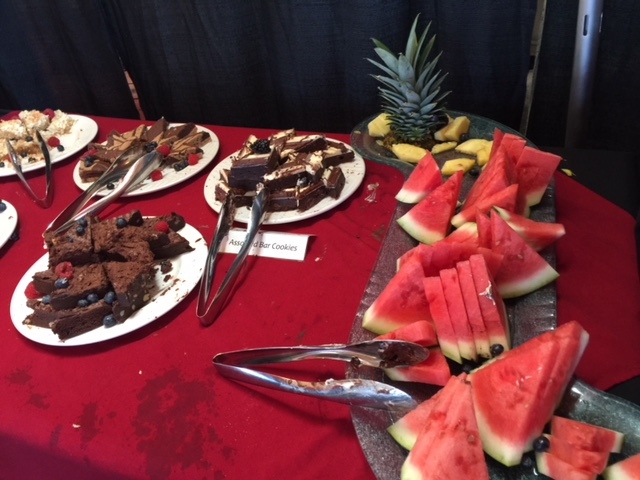 Upon returning to Whistler Mountain, we did the Summertime Feast – food was wonderful. 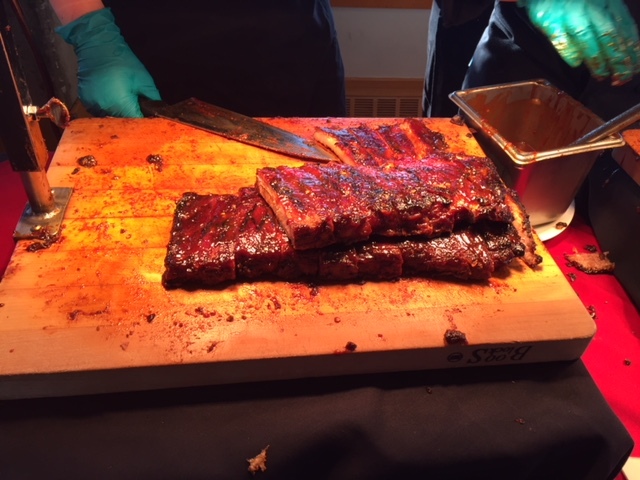 Lots of choices: ribs, salmon, chicken, shrimp, prime rib, hot dogs, mac and cheese and may accompanying salads and vegetables. Then a large assortment of desserts. We felt it was a great meal with stunning views, especially of the sunset. The return to reality is difficult. We have relaxed at massages, tasted and learned all about vodka, had two fabulous dinners, one with the most spectacular view in the world and now must leave this little jewel in the mountains. Vancouverites are so lucky. Not every city has a place for R&R this close and this scenic. We treasure our moments in Whistler and are already planning for our 51st! Maybe we will be more adventurous and try other adventures, even zip-lining!! 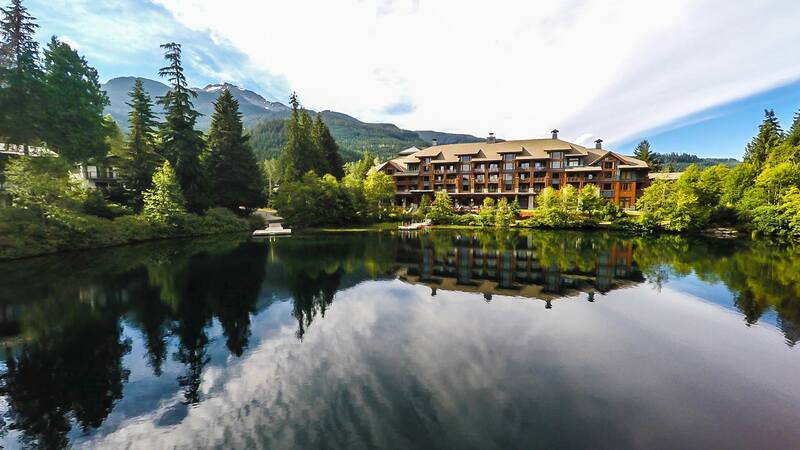 Whistler has lots of special events, Cornucopia, a food fest coming up in November, regular ski events, biking, marathons, races, theatre and art shows, there is never a chance to be bored, but there is an opportunity to find peace as well. Wonderful article Sylvia. So glad the two of you had a relaxing and reinvigorating getaway. Wonderful descriptions. I too had a wonderful few days there in the spring and thoroughly enjoyed it. Thanks for making me feel as if I was there again. What a wonderful endorsement of Whistler! Everything sounds picture perfect and if anyone wants a preplanned holiday without any more research – reading this write up should be enough to encourage an immediate booking!